Today, I want to focus on my parents and the values they have imparted in me that I admire and hope to replicate with my children. Their work ethic. My parents inspired my sisters and I to work hard, to be our best and not to be limited by gender, our circumstances or other life setbacks. They themselves came from such humble beginnings and accomplished so much that by their actions and choices, you were inspired to try your best. Their relationship with money. As far as I know, my parents never bought anything on credit. If they couldn’t save and get it, they did not get it. Also, to save all your money, save even if you have no immediate plans, just save. Family first. My sisters and I always knew (know) that we were important and that we mattered to them, that they gave us their best and withheld nothing from us. They loved and even, liked us, and we never doubted this. We are our parents best investment and choice and there is something comforting in that. I love that their parenting style did not require them to compare any of us. To them, we are unique, we are individuals and each success was celebrated on its own and each failure dealt with separately. As a result, all five of us are friends and continue to do the same thing with each other to date. Faith and the role of God. He is over and above all things, always has and always has been. Choice. Marry when you want, there is no pressure to marry or in fact conform because we are women. Study what you want at school – whether Physics or Home science. Learn how to slaughter a chicken or change a tyre, just because you are only girls, you still need to know. A love for books. Yes!!! I recently went through an exercise to define my top values in life and it made me very reflective because values are something you never think of until someone crosses it then you realise, woah! something is off here. My faith in God is something that I feel very strongly about and hope that people realise when they meet me. It guides my decisions, my reactions and my feelings through life. I believe in One God, the Father the Almighty, One God in Three Persons, He died and rose again and will return. That God, even when things in life go against this thinking, my prayer is I stand in my belief in God. Family is very important to me. Loyalty to family, love for family. Enjoying your family. My sisters are truly God’s best gift to me and if we weren’t related, I would still want to know. My folks are the bomb.com. I always say that I would pay good money to live with them for a month some where. With the Mr, the idea is to make our home a home so we both have this enabling and loving environment where we both return to and just want to dwell in and enjoy each other. As you get older and refine your circle of friends, you ostensibly end up with friends that are like family and it is important to cherish those as well and invest in them. Friendship is important. Serving God and fellow man is another thing of importance to me. If I do not give back to those that are less fortunate, if I am not moved by the plight of those less fortunate than me, then what I have is not worth it. Serving in Church is an expression of my faith and that must be done but I also still delight in that. Working hard and being my best given my constraints is important. I love to set goals and work towards them and that feeling of meeting them and sometimes even exceeding expectations is so refreshing. I am not so concerned about being the first or the best, but being my best is good enough. How I work hard is by being resilient. I take stock of the failure or the setbacks and then moving forward. I care about meeting my goals and not giving up when things are tough or not going as well as I expected. Stability and Freedom that often comes from being educated or being financially stable. Also, from having family or friends do what they say they will, when they will do it. It helps clarify life and make things much simpler for you to really perform at that optimum level. As a worker, I also find that I like the autonomy to make my own decisions and work at my own pace as opposed to being micro-managed. Fun and Play because you need to refresh, slow down and enjoy the successes otherwise they are useful and you do not perform at your optimum. For me this looks like reading books, listening to music, hanging with friends and family, journaling, watching telly or traveling. What are your top values? What defines you and makes you unique? BSF and the brilliant notes they have been preparing for this years study. Our home and all that it means to us in this season. My family and for WhatsApp that allows us to be in touch. The freedom that my car provides me. Work and the ability to earn an income. 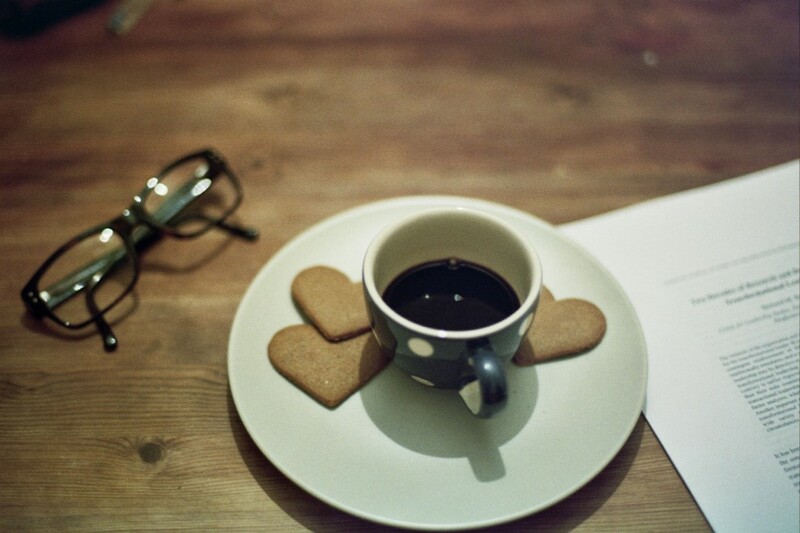 A great cup of tea. For what are you grateful for? Having a baby, what would you like to do before baby arrives? Thoughts on Upile Chisala’s book. Wh!at do you cook for guests? We unpacked our wedding gifts and as we reminisced about the little parts of the wedding. I went back to living with my sister and nephew and something was missing and I knew it was the Mr.
His aunts would thank me for all sorts of things. His family would ask after me when he went for family stuff solo. It just made sense to clarify our plans before committing us socially. We hosted our first set of people at our first place. Some days are better than others but most times I do feel married and I can’t even say what it is that makes it more than just when we were dating. When I moved to Cape Town, I did not expect to like, or GASP love it, as much as I did Johannesburg. Two years on, I feel like I am cheating on my first love but here goes a list of things I love about the city. Camps Bay – I don’t do this often because it gets touristy and it’s a big contrast to the daily inequality but occasionally, I do note its’ beauty and appreciate that. Unstuffy Markets – Mojo Market, Old Biscuit Mill and Oranjezicht. For some reason in Joburg, peeople need to dress up and then get to markets and look like they just walk up like that, URGGGH!! A main street that means not having to get into a mall unless you want to, Yay!!! This blog has slowly become a firm favourite. I thought this was a whimsical post but it definitely gave me ideas of how to prepare our guest room when we have visitors. What do I currently do? Growing up, my mom always made us pack a towel a face cloth and other personal items we might require when we go visiting. I have slowly learnt that not everyone packs these so I have since had to include guest towels when I prepare the room. I also ensure the guests have a set of keys and boy does knowing that there is extra toilet paper help a tonne. I also stock the house with food and then on the second or third night when the guests arrive, I take them along to the shops so they can shop for food and personal effects that they might need that I do no have in the house – it certainly helps guests to feel at home. This and knowing where the breakfast cereals, tea and coffee is in the house. From this post, I have since learnt to include the following items for that home away from home feel. A luggage rack, I read this and the simplicity but indulgence of it made me happy. A mirror so that guests can prep themselves once they get up. issue to remember that other do. How do you prepare yourself to host guests? Love her PhD work on such a personally interesting topic: language. Also this article on the benefits of being bilingual for younger kids. I like this conversation on race but overall I am not impressed by Rachel’s choices on #TheBachelorette. But then again, I don’t have to be, it’s really her choice to make. In Africa we call these food services “friends and family”. Women are ushered into motherhood in such different ways globally. Some PC pics. I went to a Christian University for my undergraduate studies. Self care that we need. How do adults make friends? We mentally compress our networks when we are harassed, bullied or being threatened by job loss. We close ourselves off, isolating ourselves, creating a huge blind spot where we can’t see our resources, allies and opportunities. The story that you have asked me to tell you does not begin with the pitiful ugliness of Lloyd’s death. It begins on a long-ago day in August when the sun seared my blistered face and I was nine years old and my father and mother sold me to a strange man. 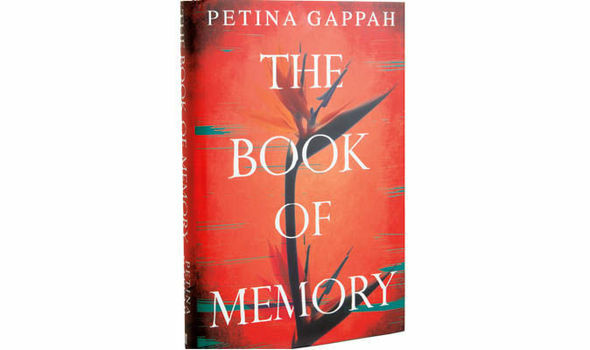 Memory, the narrator of Petina Gappah’s The Book of Memory, is an albino woman languishing in Chikurubi Maximum Security Prison in Harare, Zimbabwe, after being sentenced for murder. As part of her appeal, her lawyer insists that she write down what happened as she remembers it. The death penalty is a mandatory sentence for murder, and Memory is, both literally and metaphorically, writing for her life. As her story unfolds, Memory reveals that she has been tried and convicted for the murder of Lloyd Hendricks, her adopted father. But who was Lloyd Hendricks? Why does Memory feel no remorse for his death? And did everything happen exactly as she remembers? Moving between the townships of the poor and the suburbs of the rich, and between past and present, the 2009 Guardian First Book Award–winning writer Petina Gappah weaves a compelling tale of love, obsession, the relentlessness of fate, and the treachery of memory. The book reminded me of the book, We Need New Names by NoViolet Bulawayo particularly when she talks of the Harare township where Memory grew up. The characterisation of township life was totally believable and reminded me of my experience growing up. The book also does a good job of personifying the life behind bars and the dynamics of womanhood and female friendships. Overall, Gappah is a lovely story teller, she builds it up slowly and steadily then lets it slow down later. I loved the pace. It totally sucked me in and I read it over a day or two. Then at the end I just hugged the book and smiled. The story continually switches between a flashback to the past and present time. Despite this, it was still easy to follow the broader tale. In light of the decolonised free education in our lifetime protests currently happening in South African universities, is the best education White/ Western and in a foreign (ex-colonialist) language? To what extent has this changed? Would you/ I feel comfortable to take our kid to a native school ala Spilt Milk? I am not sure. In terms of decolonising language, the best book I have read on this topic so far is Decolonising the Mind by Ngugi wa Thiong’o. The book also touches on Africa’s complicated history with the White Man. Was Lloyd African? Why because he spoke the language and understood the culture / had allowed himself to be immersed in it fully? If we contrast Lloyd and Alexandra the sister, who is more African? Colonialism and the White Mans’ burden also comes across when we look at the motives of Lloyd in adopting Memory. That duality of existence that I find so intriguing about South Africans and now Zimbabwe. That deep belief in ancestry and mainstream religion or a more modern life. I grew up raised in a predominantly Bible-focused culture and so this duality is totally alien to me. Do we trust our memories? Is it ever as we think or are there things we remember that as we have gotten older we have to come realise are not as they were. As the last child in my home, I have some clear memories of myself as a child but to be honest, I know that a lot of them are mainly based on what I have been told and not necessarily what I particularly remember. What are your earliest memories? In closing, I am not sure why they did not translate the Shona bits which made me wonder who the real audience is here. It was quite frustrating for me a non-Shona speaker. He is the Creator and Sustainor of Life. He made all things, visible and invisible for His pleasure. God is not a man that He should lie, nor a son of man that He will change His mind. Our greatest need is for salvation, and that He has already finalised on our behalf. Yet, I will focus on God. Even today. In the last couple of years I have started to look at a theme word and then gotten a verse for the following to keep me grounded. As 2015 drew to a close, I started to look at the last couple of years and the word that came to mind was “centred” or “rooted” as it felt like the previous years had been in some kind of flux. An alternative word was abide which always calls to mind being at peace and being deeply connected to something or someone as it were. I love this verse above because besides so many other things it connects being established and rooted in Christ while at the same time talking of gratitude which was something else that I felt about 2015. God has been so good to me and mine in this year that I want to begin another year reminded of this and almost saying to myself to count my blessings, each and everyone of them every day. So I look forward to a calming year with my focus on my Lord and Saviour as well as a spirit of gratitude! As a follow up to this interview with my 9-year old nephew, enjoy! What’s the best thing about your life right now? What don’t you like about your life right now? What are you most looking forward to learning in the upcoming year? Most important friendship trait? They must be awesome and loyal. What do you know how to do that you can teach to others? Being a good centre defender and how to kick the ball far. What is the funniest thing that has happened to you in the past week. If you could choose a new name for yourself, what would it be, and why? How would you change the world if you could? I was challenged to do this post by a friend (snarky things these private blogs) so I will cite the initial source Karen. Listening to Talk Radio and Podcasts. Reading. A good book, a great article, a lovely post. Even bad stuff, I will read as long as people write. I like the fact that reading allows a third dimension to come in and you can start to hear, smell or imagine stuff beyond what’s actually on the paper. Sitting with family to have easily six conversations running concurrently and speaking a mish-mash of all the different languages we speak or appropriating words to mean something new altogether. Chatting – whether on Gmail or on Whatsapp. I love the connection it gives me and the fact that it helps pass time. Getting a good work out and pushing my body really hard. Road trips with my Mr – gives us a chance to really talk and connect as well as listen to each others Music (his mainly). Cooking for family and seeing their appreciation S/O to my nephew who is so complimentary when you hit the happy spot. Also, getting a new cookbook and trying a new recipe and having it come out tasty and adding it to my repertoire of meals. Browsing in a bookstore or being in a Library. BOOKS, YUM!!! Journaling and my journals. I have journaled more on than off since I was 11 years old and have kept each of them. 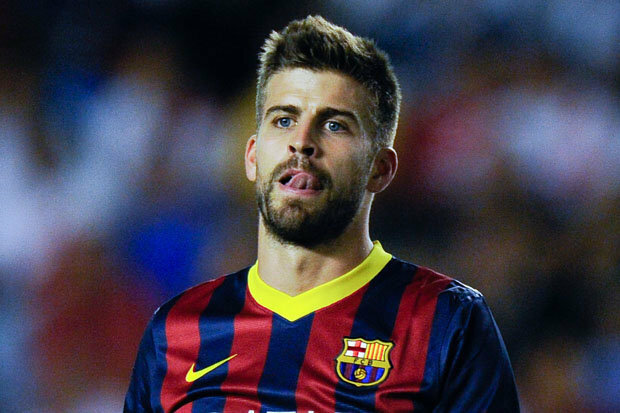 Reading an applied Economics paper that answers a really practical and useful question and actually getting it. I make a mean cup of tea. Friendship – catching up with a pal and connecting whether on silly or deep things. Just connecting. Getting my hair done. Ok, I will say that again, getting my hair done. Going to Church and being in a room with other believers. What about you, what’s on your crazy happy list? 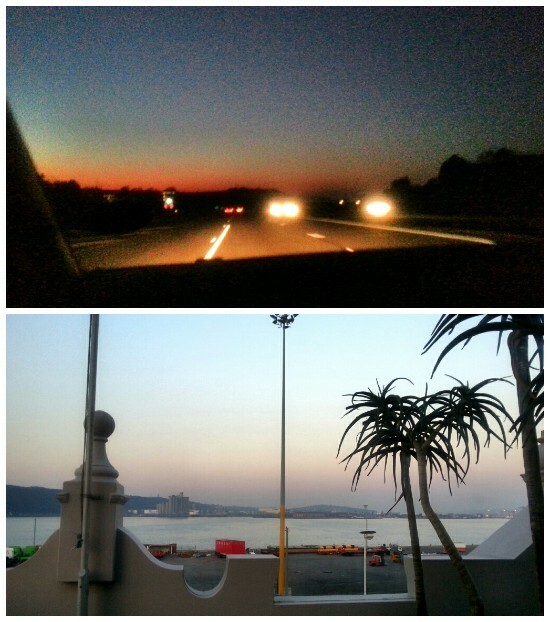 Drove to Durban and back this past weekend with the Mr for a family funeral and took these two pics half an hour apart just as the sun came up. Even in the saddest of moments, we are always reminded of God’s beauty and His power. RIP Uncle ..
As promised here are my thoughts on this book. For some reason, it is ridiculously priced at Exclusive Books and that’s if you can get it. I ended up getting it from Amazon at half price. A part of me wanted not to compare her to that other famous Nigerian Writer and I tried most of the time. The stories are divided into two parts – stories in the first half are based in Nigeria and the latter in America. The predominant themes to her stories are religion, migration or identity, family dynamics and unexpectedly lesbianism, which begs the question, how many lesbians are there in Nigeria? (This scares me because of the traffic that will be lead to this blog ala this.) But in light of the recent anti-homosexuality bills in Nigeria and Uganda, it does raise the question of how difficult it is to be gay/lesbian in Africa. Culture notwithstanding. She writes very simply but poignantly. A lot of the time, I had such strong feelings after most stories. Which to me is not necessarily a bad thing because I have to react to my stories to truly enjoy them otherwise it’s just not worth it. I loved “On Ohaeto Street” because the description of where they lived reminded me so much of the estate I grew up in back in Nairobi. Very beautiful intro to the book. As with any short story, I was left wondering whether they got back together again? The second story very touching as the wife had to go through the VERY public and then an equally private shame. Interesting also that it had to be the wife with a problem conceiving and not the guy. Like no one ever considered it could be him. I also loved “America”. Quite a lot. I felt of all of them, this had the most potential to be drawn out further but maybe if it was, it wouldn’t have that same feel to it. Possibly. But reading this story, I did ponder on the issue of brain drain and how it was/is to some extent today that you haven’t quite made it in Africauntil you have gone overseas and studied/lived/worked. You can be great BUT and that’s a huge BUT. As an eternal foreigner “Shelter” made me so sad. To be in a bad way and stuck in a foreign country without help or family. Worst nightmare. “Tumours and Butterflies” almost made me wail like a sick kid. I was probably quite emotional on the day I read it but it gutted me. Parts of you feel sorry for the mom that she is a battered lady, then you wanna feel sorry for the dad because he has Cancer and then you see him treat his daughter like that and you wanna get in there and beat him up. I thank God I am not a battered wife but her decision to side with her husband over her daughter I cannot even contemplate! The title of the book comes from the story “Grace”. I felt like this story dragged on unnecessarily. However, is Happiness always fleeting … “maybe it is all about being on the verge of joy and similar small moments.” To me happiness is fleeting and joy is perpetual. I loved this book, which is rare because I cannot be paid enough to read short stories. But this one, I would certainly give a proud 4.5 out of 5. This is what little things is about! The freedom not to dot my “i” when I write stuff. Take that Standard 3 teacher, I can write as I wish! Enjoyed a few beautiful videos of my two-month old nephew. Cheers to beautiful weather this past weekend and spending the day with my sister and 8-year old nephew. Test drove this little baby. Not looking to get a new car any time soon but I have loved this car for so long, I wanted to know what it felt like to drive. Great food and company for dinner at The Good Luck Club in Illovo. Slowly becoming one of my favourite places to meet people and hang out. What little things caught your eye this past week?